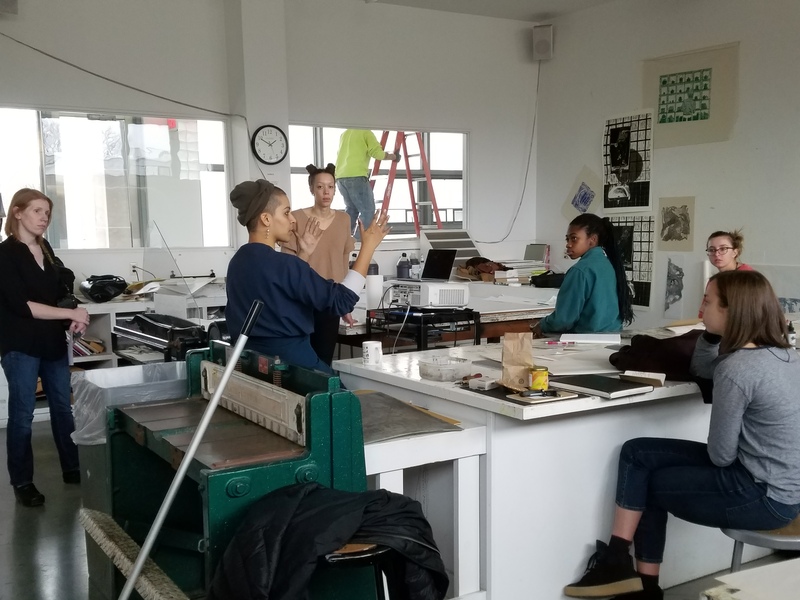 Collaborating with Studio Art, Assistant Visual Resources Curator Kendra Werst teamed up with Assistant Professor of Art Pallavi Sen and Studio Assistant Megan Mazza on an instruction session for Professor Sen’s printmaking students this past fall. 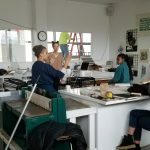 Kendra spoke to both of Professor Sen’s printmaking classes, Linocut, and Monotypes, about the importance of documenting their artwork and how to start an artist’s archive. 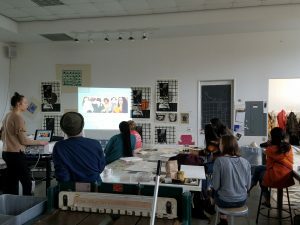 After listing reasons why artists should take control of their artistic legacy, she shared a few tools that could help students organize and store their digital images. These included Art Moi, a cloud-based art cataloging service for artists, collectors, and galleries; Tropy, a desktop-based research photo management tool; and Artists’ Studio Archives, a guidebook on managing personal collections and legacies. Students also heard from Megan about what resources and equipment at Spencer are available for students to document their work.